We see that,Quick sort is better when the no of elements exceed 23(approx). Insertion sort is good for less then 23 elements. 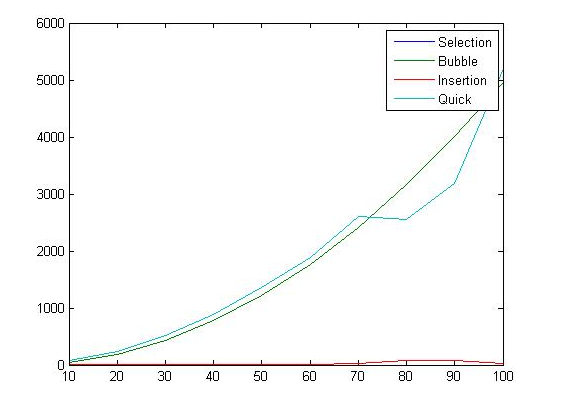 Bubble and selection sort has identical no of comparisions not used for large dataset. We see that,Insertion sort is better when the elements are in almost sorted order. 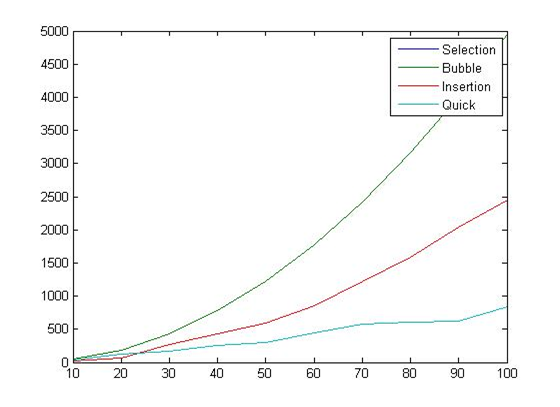 Quick ,Bubble and selection sort has almost identical no of comparisions in case of this data set. Good post.Very helpful tutorial.I have interest in programming language but most of the time i did not get the tutorials or example.But this blog giving the correct information.I am not an expert in wring so i took the guidelines from the custom essay service. .m file for this question?